Line two cookie sheets with waxed paper. In a medium-sized mixing bowl, zap the butter and the golden syrup in a microwave until the butter has melted. Remove from microwave. In a small bowl or mug, zap the water until it is boiling. Stir the baking soda into the butter and syrup mixture, then pour in the hot water, stir, then add all the remaining ingredients. Arrange teaspoonful dollops of the dough on the cookie sheets, then press them flat with a fork moistened with water. Leave space between the cookies as they will spread out a bit. Pop in oven and bake until lightly browned, about 20 minutes. Remove from oven, transfer them on the baking paper onto wire racks to cool. Instead of golden syrup, you can use corn syrup or honey. Instead of waxed paper, you can use whatever kind of baking paper you have to hand. 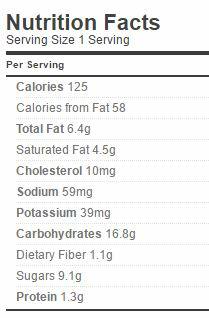 For the 3/4 cup of coconut, you want 90 g (3 oz).